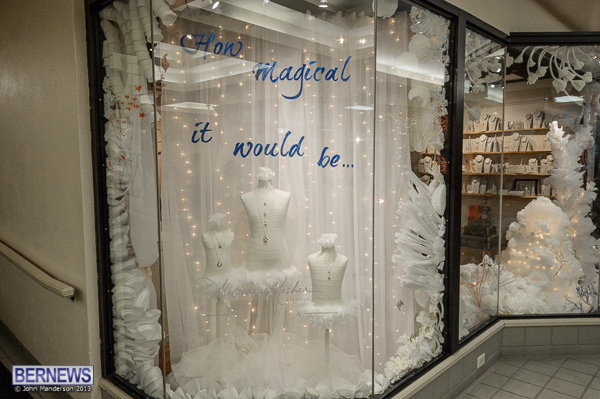 The City of Hamilton announced that Alexandra Mosher Studio Jewellery in the Washington Mall is the winner of this year’s Christmas Window Display Competition. 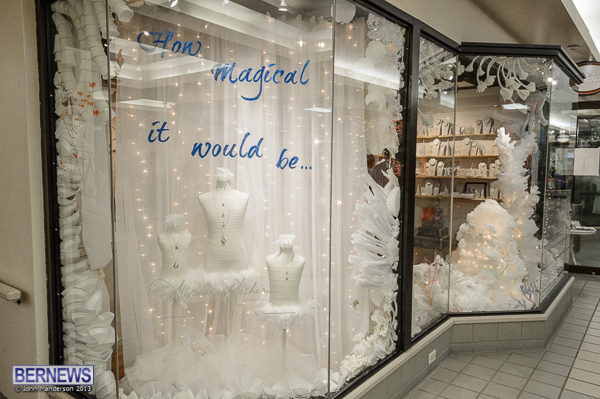 A host of Hamilton retailers entered, and honourable mentions were earned by the Island Shop and the Irish Linen Shop. 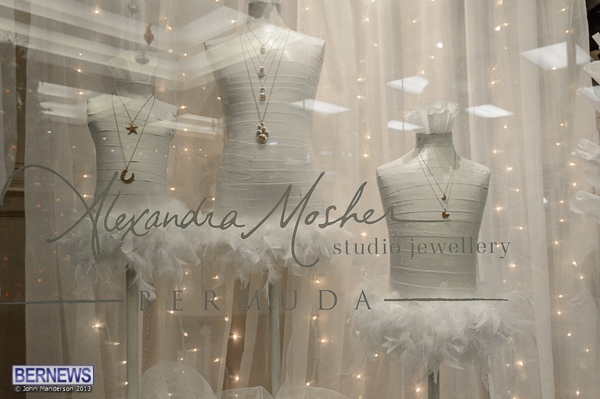 One of the island’s most well known artisans, Ms Mosher launched her jewellery line in 2005, which features jewellery designs inspired by the beautiful motifs found in Bermuda’s flora, fauna, the ocean, architecture, history and culture. Congratulations Mosh Chops ! Great work. Congratulations!..you did a wonderful job!